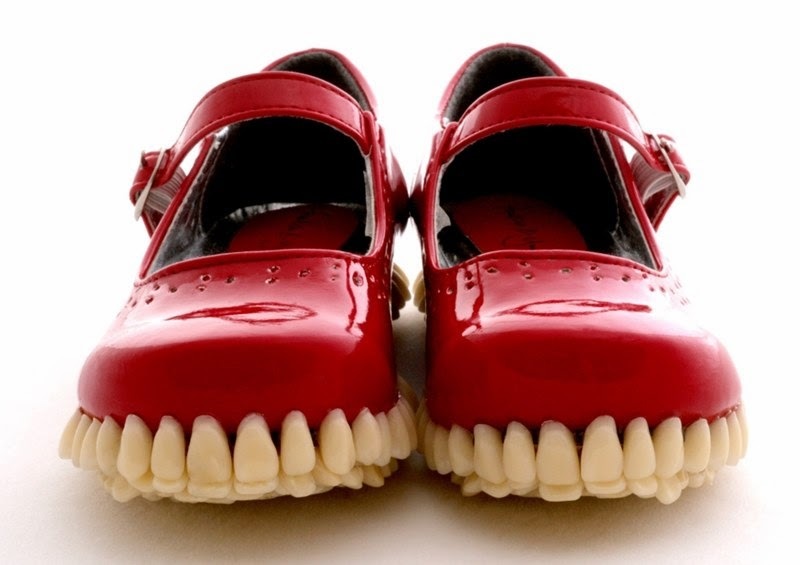 UK artists Mariana Fantich and Dominic Young of Fantich and Young have covered the soles of shoes in hundreds of false teeth for their super creepy sculpture series “Apex Predator” for young girls. 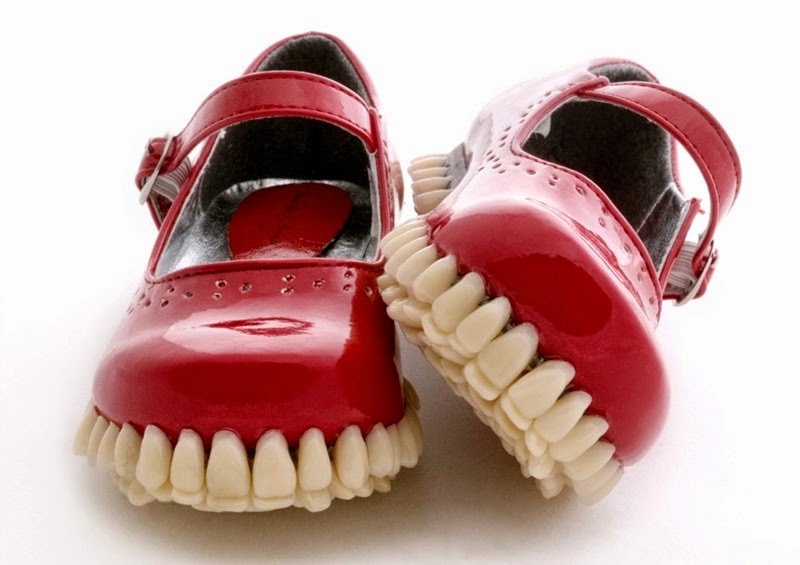 The pair of youth footwear are mary jane style, with hot red patent red surfaces and a buckled strap. 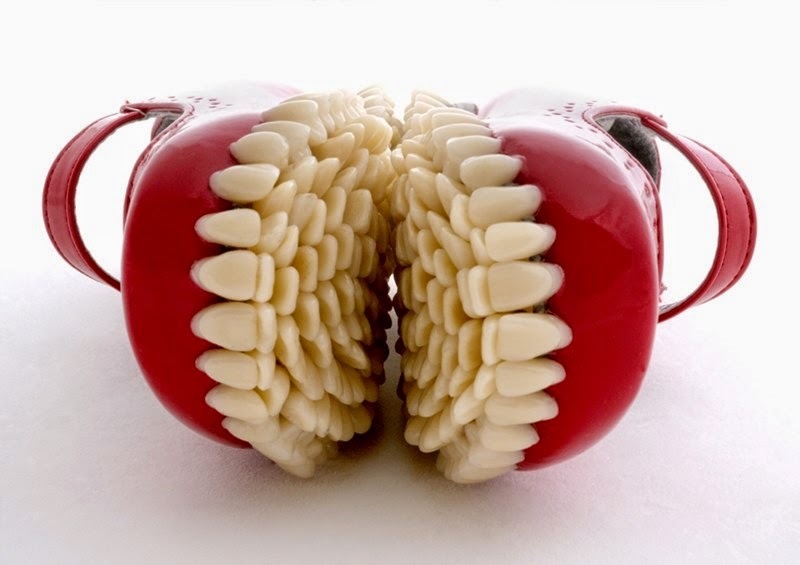 at their sole, instead of the traditional rubber bottom, the creative duo have implanted hundreds of individual back and front teeth dentures into the base. 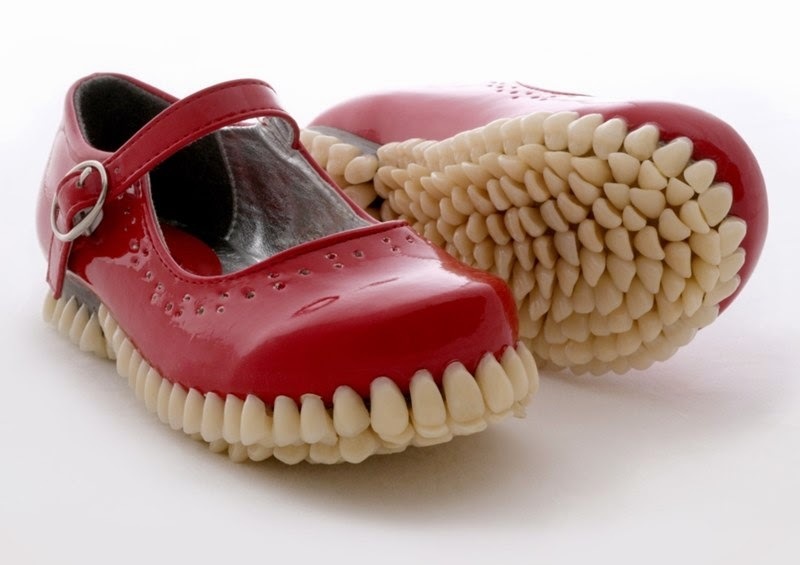 the result transforms the otherwise adorable wearable into something a bit more sinister, resulting in a distributing twist on a classic childhood item.